Would you love to perform on stage, in a fully staged musical, in front of a live audience, surrounded by friends? then, you should consider joining our Junior Musical Theatre Company! Every week we focus on rehearsing the scenes, choreography and staging of our chosen musical with a professional Choreographer, Director and Musical Director who are there to bring out the best in every single child. Our productions are especially chosen and often specifically written and adapted to allow every child to have their opportunity to shine. With a limited company size there is the opportunity for every child to have plenty to do. Our Musical Theatre training is among the best in the country and our students go on to perform professionally in theatres all over Dublin, Ireland and indeed the West End, including the shows staged by Festival Productions at the National Concert Hall every Christmas and the pantomimes at the Olympia, Gaiety, Abbey, Helix and Gate Theatres. A high level of commitment and enthusiasm is required for this class as we work to bring our students to performance level. Students audition for leading roles and chorus parts in our chosen musical and then work each week rehearsing every element of the show; acting, singing and choreography. Nearer to show day we design and paint our scenery and organize costumes and props. Our productions range from in-house performances for friends and family to full-scale productions in a professional theatre. To book your spot just email gillian@itwstudios.ie or log on to your profile and add the Junior Musical Theatre Class. Recent ITW Junior Musical Theatre Company productions include Disney's Beauty and the Beast, Guys and Dolls Jr, Annie Jr, The Wizard of Oz, Aladdin, Alice in Wonderland, ITW’s Nightmare Before Christmas and Charlie and the Chocolate Factory. Our production in April/May 2019 is going to be Disney's Peter Pan Jr. 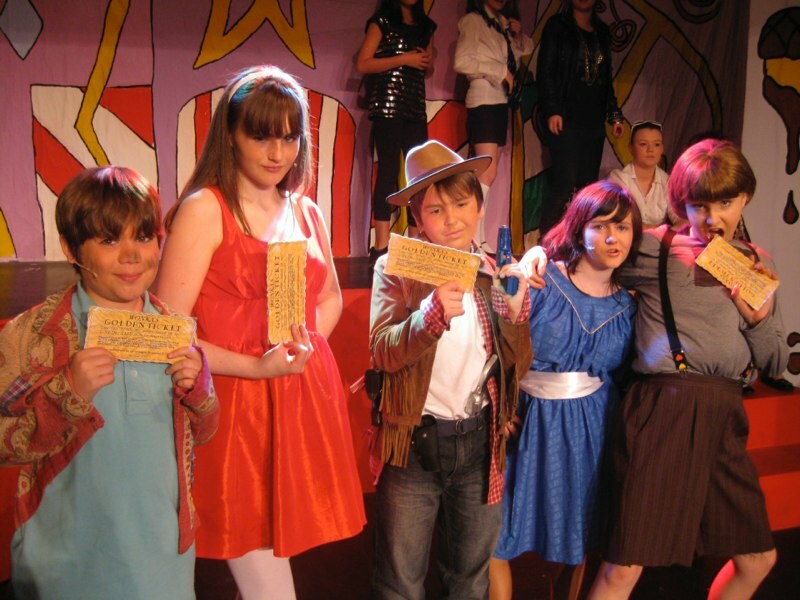 The Junior Musical Theatre Company is only open to students who also attend a Dance and Drama class at The Independent Theatre Workshop every week. Excellent attendance at all ITW classes and rehearsals is required in order to be allowed remain in the Company. Rehearsals are every Sunday from 10-12pm for the 20 weeks of Term 2 & 3 at ITW Studios, Clonskeagh and for 5 full days (March 16 & 18 and the whole of the May Bank Holiday weekend) Fee €400. Our graduates can be seen in leading roles and include the fabulous Al Porter, Ryan Andrews, George Mc Mahon(Fair City, Limerick Panto), Ben Morris (Phantom West End, Beautiful, Commitments) Ciara Lyons (Legally Blonde, Rapunzel), Kathryn McKiernan (RTE, Freezin),Shane McDaid (Titanic, Madagascar West End), Alison Dennan (Freezing’), Colin Middleton (Tivoli Panto), David Crowley(Red Rock,Robin Hood) and more who star in the Olympia, Gaiety, Tivoli and Limerick Pantos and in the West End.